Innisfree Estate is Truly a One of a Kind, Gated & Located on the Most Amazing 2.5 acres of Piney Woods Lake. With Architecture Inspired by Frank Lloyd Wright and Offering over 800 feet of Stone Sea Wall & Shoreline. Absolutely Breathtaking Views from Most Every Room & Amazing Sunsets. Just a Short Golf Cart Ride to Highland Country Club...Enjoy Tennis, Golf & Dining. 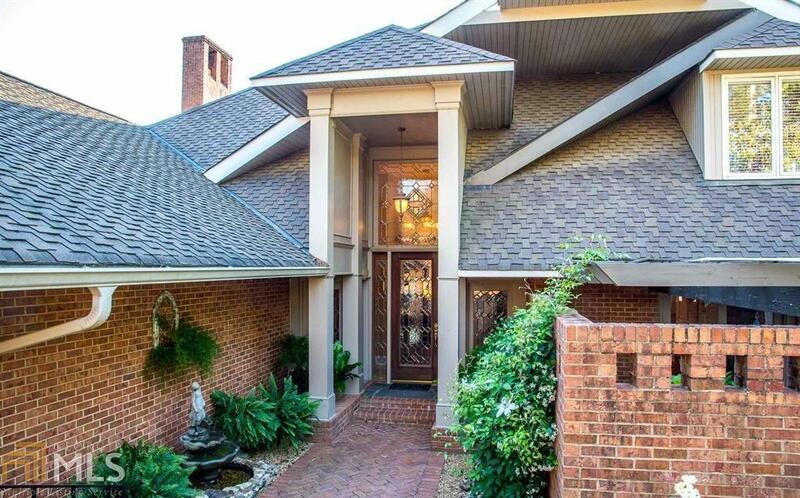 This Custom Built Home Offers Many Unique Amenities Including Flagstone Floors & Patios, Oak Wood Flooring, Beautiful Brick Walls, Exposed Beams, & Wood Ceilings. Gourmet Kitchen, Keeping Room, Dining Room, Family Room w/Wet Bar, 3 Fireplaces w/Gas Logs. Master Suite on Main Level w/Sitting Room, Lush Bath & Courtyard. Inground Covered Pool, Pool House & Hidden Tree House! Directions: From Downtown Lagrange, Take Broad St Towards Lagrange College. Turn Right Onto Country Club Rd. Turn Right Onto Country Club Dr.